This long-anticipated volume is finally here! 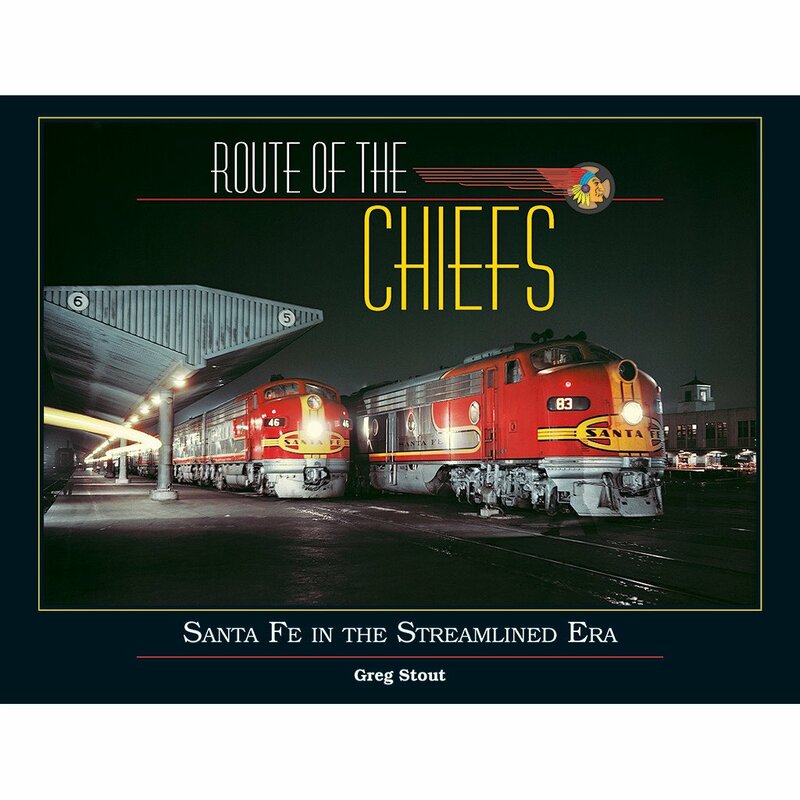 Route of the Chiefs is the ultimate photographic history of how the Santa Fe rose to being one of the foremost passenger carriers in America’s streamliner era. From the premiere Super Chief to the extensive network of secondary trains, this new 256-page volume is the next best thing to being on board. If ever a railroad was a friend to the passenger, Santa Fe was it. From the 1892 version of the California Limited to the Santa Fe De-Luxe, to the 1926 Chief, to the 1937 Super Chief, no other railroad offered greater luxury to its first-class clientele. Later, with the inauguration of the 1938 El Capitan, the company brought fast, modern accommodations to coach travelers as well. Add to that the remaining Chiefs and streamliners, including the San Francisco Chief, Texas Chief, the Chief itself, plus the Grand Canyon, Chicagoan, Kansas Cityan, San Diegan, Golden Gates, and a host of supporting cast players like The Cavern, El Pasoan, Tulsan and others, and it is hard to conceive of any railroad that did it better, or even as well.